A huge milestone for the professional network. LinkedIn has just announced it has 500 million members. Just over a year ago (January 2016), it had 20 million. Announcing the milestone, the company added that the UK alone has given it 23 million members. On top of all that, London has become the 'most connected city in the world'. “A professional community of this size has never existed until now, so we want to say thank you to every single one of our 23 million UK members for helping us create a global community like no other,” says LinkedIn’s Darain Faraz. The company also said nearly half (47 per cent) of professionals are only reaching out to their professional network when they are looking for a job. 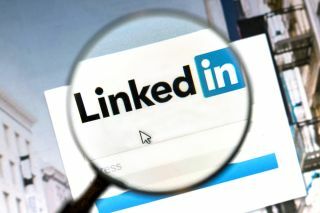 It pays off to nurture your network all the time as a third (29 per cent) of professionals say that a casual conversation on LinkedIn has led to a new opportunity and a fifth (19 per cent) have landed a job through using their network. “Taking small, simple, regular steps to feed and grow your professional network will help you accelerate your career, whether that means landing a new job, climbing the ladder at your current organisation or switching industries. Every single connection you make opens up an average of 400 new people that you could get introduced to and build relationships with, taking you one step closer to reaching your career goals,” continued Faraz. In other, also interesting stats, the company said the community now represents more than 10 million active jobs, offers access to more than nine million companies, and sees more than 100,000 articles published every week.